I’m in love with the fundamentals. Most business owners are astounded at the performance of their websites once just the basics are implemented because they’ve lacked solid consulting & development for so long. This not so exhaustive list of tips shouldn’t be taken as the canonical strategy of driving traffic but it does offer some great reminders of both free and paid online strategies to help boost your website traffic and engaged those visitors on a more robust level using a variety of online marketing tactics. Video is an easy way for people to engage with your brand and find out more about your business. Plus, one of the largest search engines other than Google is none other than YouTube. It is crucial to include YouTube in your arsenal of traffic strategies. Create your own YouTube channel. Produce and upload original videos with interesting content to your YouTube channel. Using the “annotation” feature while editing YouTube videos, you can add a call to action for viewers to go your website URL. Another strategy is to interlink your videos with annotations so as to pick up more views and more traffic. Optimize your YouTube channel by including a link back to your website in the profile information on the left panel. Building an email list enables you to drive traffic at the click of a button. With a substantial number of subscribers in your email list, you can also build a community around your site or even your niche and make sales after you have established relationship with your list. However, it takes time, effort and the right strategies to attract people to subscribe to your list. Also, it is essential to use an autoresponder service to build your email list. You can check out MailChimp or Constant Contact. You’ve gotta bit a little careful here. You don’t want to stuff (see Keyword Stuffing) your pages but you definitely want to consider using some keywords, words likely average users will be typing when searching for your product, service or organization. 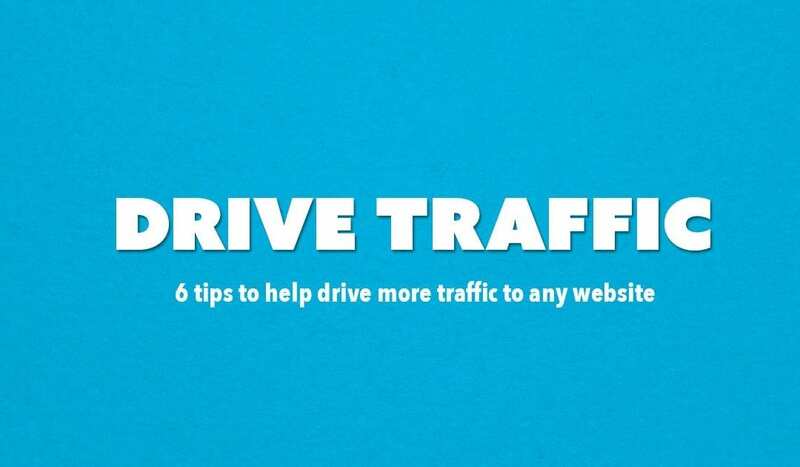 If you want to get more traffic to your website, it is crucial to know where all that traffic is coming from. Majority of online traffic finds content on search engines using keywords hence the first step to get found on search engines is to include keywords into your website. We call this process On-Page Search Engine Optimization. One element to include keywords in is in your title tag, the title of your website. There are many other elements to search engine optimization. Everyone gets in a publication rut from time to time but what really drives brands online is their ability to publish new content online. You’ve got to think about if from the search engines perspective & they’re in the business of showing the most relevant content based upon what an individual is searching for. It’s not the only factor but if you’re publishing regularly that’s just a bonus to search engines. To generate a regular readership on your website, produce content regularly. Try to get your next few posts on standby so that you can always get your content out on the same day even if your week gets crazy and you don’t have a chance to create new content. Make it a habit of manually submitting your new site to Google, Yahoo and BING to inform them to crawl it on a regular basis. For a WordPress blog, install the Google XML Sitemaps plugin like SEO by Yoast to enable crawling spiders to check out your site regularly. You’ve gotta login to Google webmaster tools and bing webmaster tools but it’s worth the effort and I like looking at the metrics and performance of the site inside these administrative interfaces to compare and contrast with some of the other tools available to get a more global view. You’ll likely find that your ranking across the various search engines is different and discover some strategies to enhance your listings.